Alcohol increases the risk of cancers of the bowel, breast, liver, mouth, throat and oesophagus and whilst health promotion efforts provide guidance, more is needed to understand the social context of drinking in Scotland. 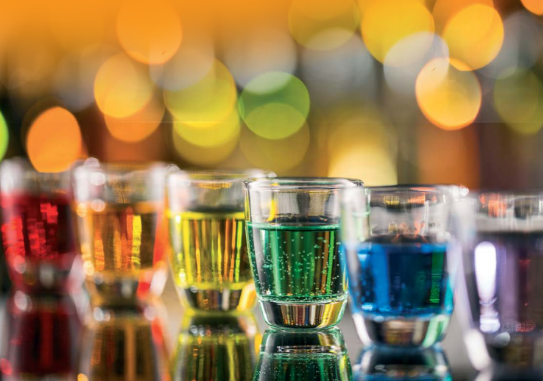 A new study (by researchers from Glasgow Caledonian University (GCU) and funded by SHAAP) has drawn attention to the role that alcohol plays in the lives of lesbian, gay, bisexual and transgender (LGBT) people in Scotland. The aim of ‘The social context of LGBT people’s drinking in Scotland’ study was to explore the social context of everyday drinking in these communities. The study found that many LGBT people described drinking heavily when they first ‘came out’ and encountered the commercial gay scene, and that there was an expectation they would continue to drink more heavily on this scene than in other contexts as they aged. The research suggested that future work should focus on how alcohol companies are marketing their products to the LGBT community both locally in venues, and nationally and internationally using social and traditional media. 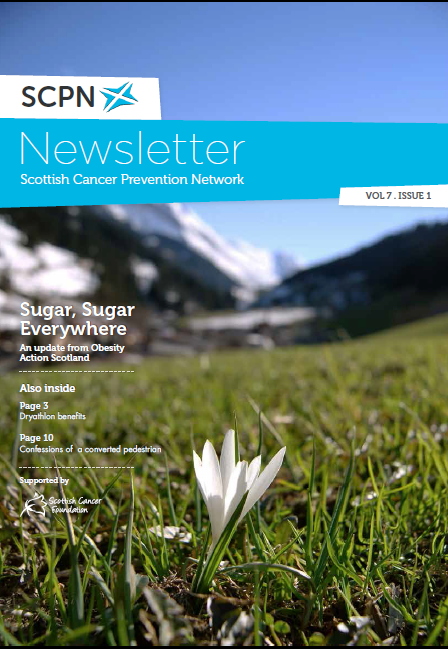 In our first issue of 2016, an update from Obesity Action Scotland on sugar, the benefits of Dryathlon and the confessions of a pedestrian, as well as the usual breakdown of cancer prevention research and news from the Scottish Cancer Prevention Network.